In Fall 2015, the classes of 2023 and 2024 planted 100 apple tree saplings of nine varieties with the assistance of members of the University of Kentucky Agriculture College's Sigma Alpha Sorority. 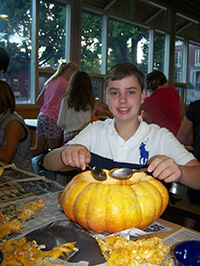 The harvest will be incorporated into products made by Lower School students for consumption by the Sayre community. During the spring of 2015, beginning steps were taken to establish an apiary at the Sayre Farm. Dr. Tammy Horn Potter, Kentucky State Apiarist, provided essential knowledge and instructions and conducted inspections. John (’83) and Jack Backer (’24) were instrumental in sharing their experience, installing and monitoring the first hive, and donating a Traditional Bee Box. Expected outcomes are teacher and student education in apiology and involvement in the upkeep of the hives and harvesting of the honey. Sayre students learn about forest ecology & agroforestry raising shiitake mushrooms on the wooded areas of the Sayre Farm. Lower, middle, & upper schoolers work together to select, harvest, & inoculate oak logs with mushroom spawn, then harvest the tasty gourmet fungi to share with our local community! 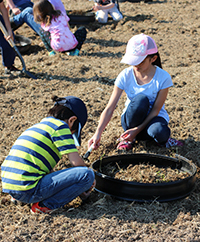 In the fall of 2016, the first seedlings for a native tree nursery were planted by kindergarten students, aided by student volunteers from the Upper School Green Council. Six species of trees native to Kentucky are represented. The trees will be measured regularly to check their growth. Once the trees are large enough, they will be donated to the city of Lexington to beautify our streets or neighborhood parks. Sayre Farm Middle School students raise peppers and blackberries from which they make blackberry jam, hot pepper jellies, and pickled jalapeños. These products are marketed to Sayre parents every year at the Fall Festival. 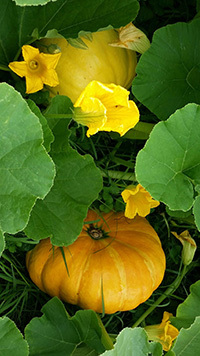 A variety of heirloom and hybrid pumpkins and gourds are planted each May by second and fourth graders. 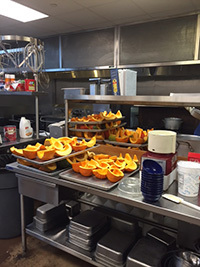 Once harvested, the vegetables are prepped in the fall by the same students. 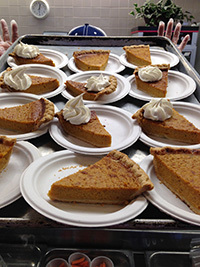 Products made by students include roasted pumpkin seeds for use on the Buttery’s salad bar and pumpkin bread and pies. We even sold some puree to Sav's Grill & West African Cuisine for the Fall 2015 Feeder's Cup food truck competition during the Breeder's Cup. He won best dessert for his pumpkin ice cream and acknowledged Sayre for providing the puree! 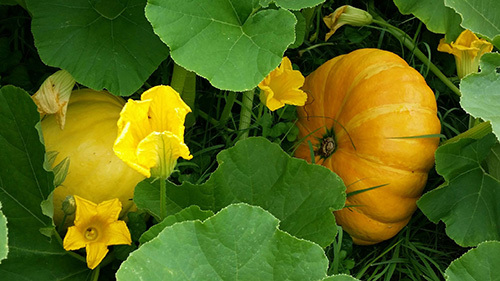 Our bountiful harvest of pumpkins and gourds decorate the Fall Festival, Sayre's campus, used in art projects, and is given away to Sayre families.